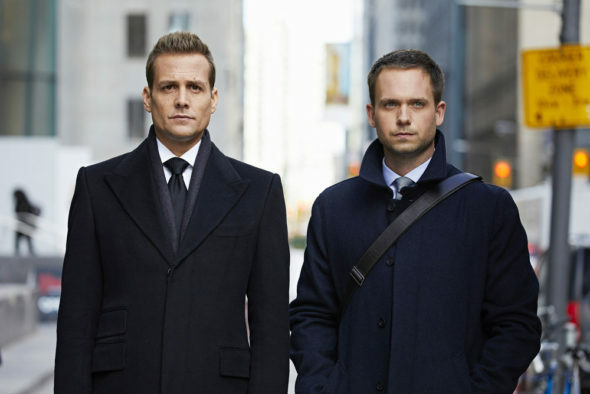 Suits the famous tv show has already released more than 100 episodes it is set to return in March. USA Network and Universal Cable Productions announced today that Suits has been renewed for an eighth season. Show creator and executive producer Aaron Korsh is set to return. Stay tuned to know more. Suits is an American legal drama TV series made and composed by Aaron Korsh. The series debuted on June 23, 2011, on the cable network, USA, and is delivered by Universal Cable. The series revolves around a young college dropout who works as a lawyer despite never actually having attended law school. Suits is a Tv series about the famous and successful lawyer Harvey Specter who hires a fraud lawyer Mike Ross as his employe. Both together solve a number law cases and go against the top law firms in New York City. Suits has already premiered season 7, the series is currently on the winter break or some other call mid-season break. The series has already premiered 10 episodes of the series, it is set to return in 2018. Suits is set to return back for the second half of Season 7. Culminating in a 2-hour season finale. In seasons finale Suits says goodbye to characters Mike Ross played by Patrick J. Adams and Rachel Zane played by Meghan Markle. Suits return date revealed on next page stay tuned. Justin Bieber And Selena Gomez Not Spending Christmas Together!? Jacobs Roloff Might Never Settle Out With His DAD!